I love mail call! 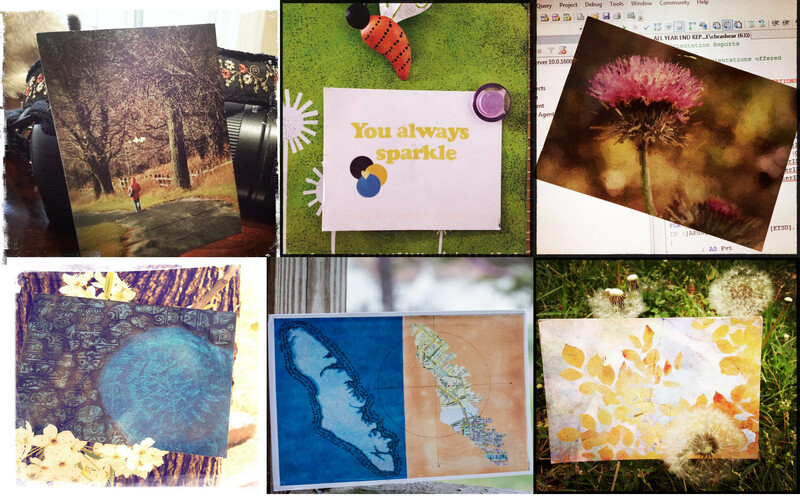 I’m really enjoying the Blog Hop and seeing many postcards I hadn’t seen before. Already looking forward to 2015! lovely cards. I really like the blue and orange one in the bottom row. And the bottom left one too! All of them are nice- you received a great collection. What beautiful work! See you next year! I could have written much of your post! Photography AND this swap (this is my 3rd) has saved my life. The only card of the ones you received that I had seen before was Kat’s! All great! Happy to see such wonderful cards…bet you were too. Love your post and the art you received! I’ve been to most of the blogs on the hop, you have 3 cards I haven’t seen yet. I loved reading your story and the postcards you received are so beautiful and some of my favorites so far. This is my second year…I’ll look forward to seeing you here again next time!